Antique sewing machine - Newton Wilson's Dorcas. 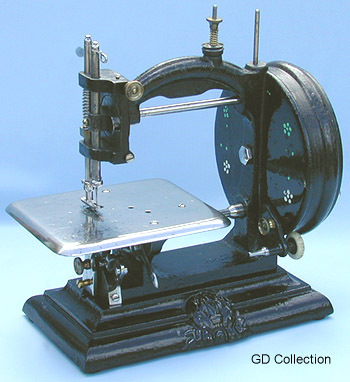 Featuring a novel rotary hook system, the "Dorcas" was introduced by Newton Wilson around 1867. It was possibly his first lockstitch design - production only lasted a few years at best.